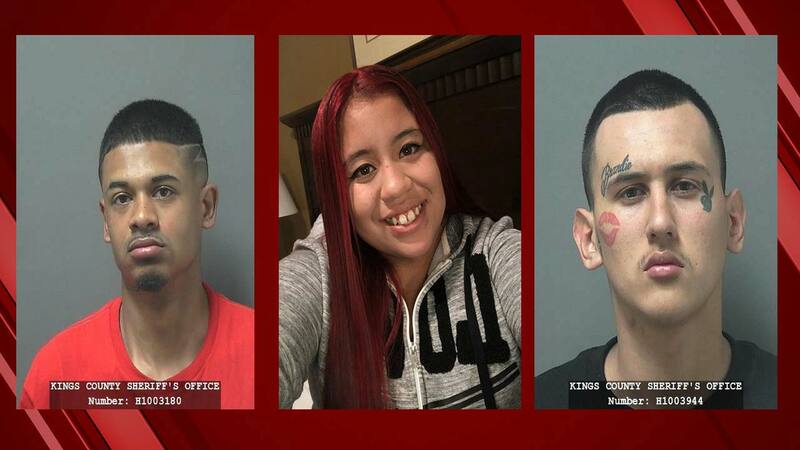 HANFORD, Calif. (KFSN) -- Police in Hanford are now looking for these three people: 21-year-old Abraham Chavez, 19-year-old Angel Castillo, and 18-year-old Zoe Barrios in connection with a Christmas Day hit and run that left Raymond Romero Jr. dead. It happened Christmas night in Hanford at about 8:45 at 11th and Hume. Police said a dark-colored SUV crashed into a Chevy Impala, killing the driver and injuring the victim's pregnant fiancée and three children, two of them were the driver's children and the other his cousin. Authorities say that Zoe Barrios is the registered owner of the vehicle. Anyone with information is asked to call Hanford Police.